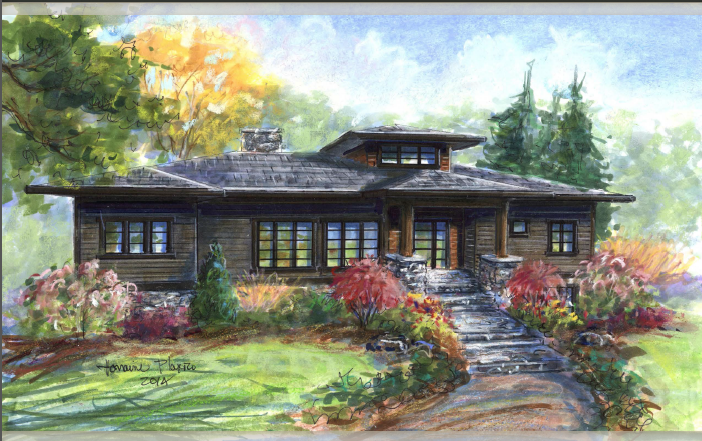 The Modern Prairie is from our popular contemporary line of plans. This home is perfect for families of all ages because it has main level living through its Universal Design. It features approximately 3,030 hsf, 4 bedrooms, 3.5 baths, a sky loft, dramatic open riser light tunnel, an oversized garage, and a garden room. This plan works well on any type of lot, including sloped (or steep) lots, and affords lots of outdoor living off the back with a porch, full width deck, and patio space below. The home has oversized windows throughout, especially in the back where virtually the entire wall is glass. Like all Living Stone homes, this model is certified Energy Star and NC Greenbuilt with its passive solar design and smart floor plan.